Henley Homes got permission to build a 149-home development on the site of the Baylis Old School complex on Lollard Street by promising to include some subsidised, below-market-rent units and "a network of courtyards and open spaces ... which will provide attractive areas for informal play. This will emphasise the sense of community within the scheme stressing that the common areas are there for the use of all the residents." But as the units were being finished, Henley got permission from Lambeth Council to replace the gates that allowed the kids living in subsidised housing to access the playground with a hedge that walled them off. 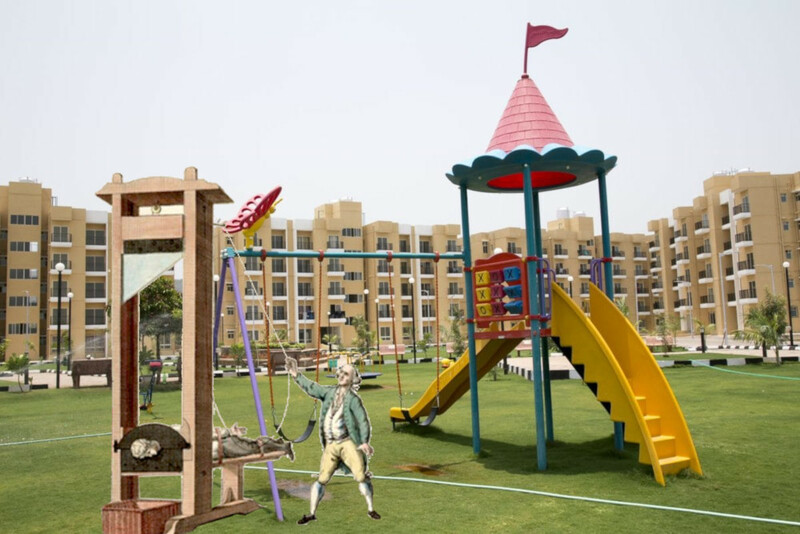 When the first subsidised occupants moved in, they were sternly warned not to allow their kids into the development's playground because it was reserved for the children of the wealthier residents. Henley argued that it had satisfied its duty to provide play space for kids under five by adding a "small gated strip of play equipment near the back of the social housing unit." Henley shifted the blame to the freeholder (a ridiculous feudal institution that the English tolerate for mysterious reasons), who excuse the arrangement by arguing, falsely, that the subsidised homes are in a "a separate, albeit closely neighbouring block" and that "[although] the block overlooks the swing area, the residents have no access to it. This is for [a] very good reason – being that [they] do not contribute towards the service charge...This is in no way discriminatory but fair and reasonable." It's an expansion of the odious phenomenon of poor doors, already widespread in London, whereby people who live in subsidised units built in exchange for a planning variance are forced to use a separate lobby to avoid offending the sensibilities of the rich people with whom they share a building. However, in this case, the victims are children, including the Rea family child, who has a disability and uses a wheelchair, but who has a special bicycle that the family had planned on using in the shared playground (it's too heavy to carry to a nearby park). Many more such segregated playgrounds are planned for London. One, in Camden has a rooftop playground for the wealthy kids that literally looks down on the inferior play space for poorer kids.